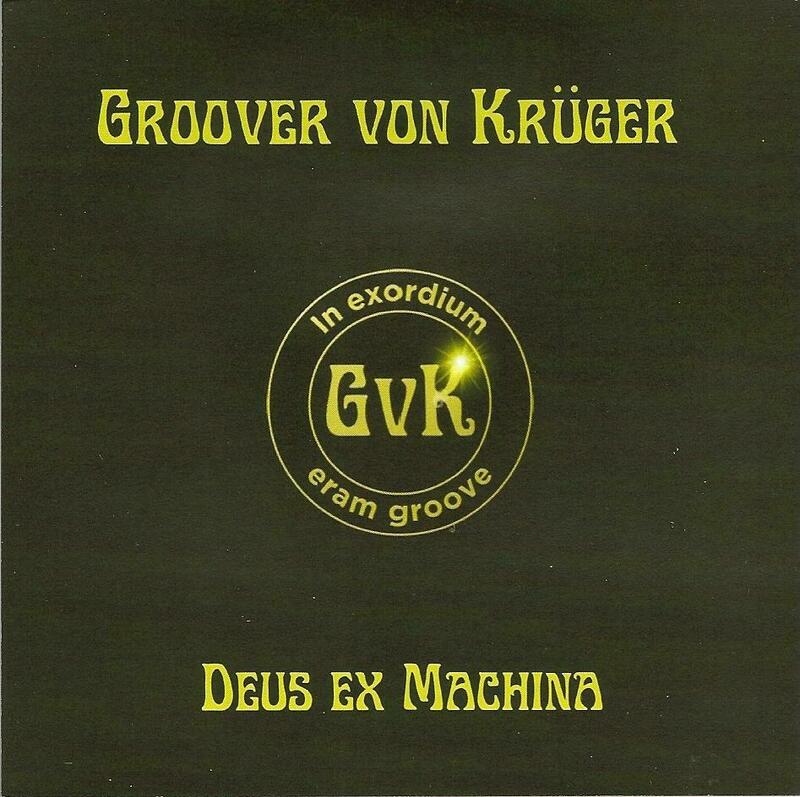 Groover Von Kruger - "Deus Ex Machina"
This is the debut EP from a new band out of Australia. It starts with the fretfully fretless funk bass... pretty funny snarled lyrics with some accent (what are they trying to say here - that global warming is a myth? hmm...), a super-cheesy chorus with power-chords, not a bad tune really. I do like some "comedy-rock", but this is kinda commercial-sounding hard rock after all. The instrumental title-track is great, though - nice epic riff, guys! (...sure ends pretty quick, though). Guilty As Charged is back to the vocals, pretty heavy bluesy pop-punk I'll call it, rock 'n' roll lyrics about unabashed debauchery. The music of No Shoes is decent with the bassist taking the lead again, but I didn't care for the chorus or vocals... it all just sounds pretty stale. Escape Velocity is a high-energy rocker with additional elements of piano and hammond, quiets down midway with a mellow passage and some tight bass-runs before going on a brief jam with lead-guitar shred and more piano soloing and the main theme again to close. I preferred the instrumentals.